"Working with Kevin was great. I felt confident that I was..."
"The crew's attention to detail and willingness / experience..."
This homeowner called to say that a portion of their siding was starting to seperate from their house. Upon our inspection, we noticed that it was seperating and allowing moisture to get into the insulation creating mold. I like to get an estimate for roof replacement. Our framed chimney has stone veneer. The veneer has deteriorated and fallen on one side. We would like to repair the chimney siding with vinyl or aluminum siding to match the house if possible. We would like a quote as soon as you are available. We appreciate your time. I have a section of siding trim that needs to be replaced. The wood board which it was attached to has rotted away to the point that the siding could no longer be held on, and the wind blew it off. So replacement siding and new board for that one section of trim are the scope of the work. 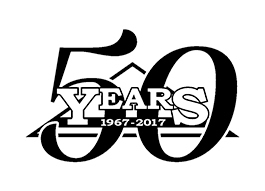 Stan's Roofing & Siding has served the residents of Woodridge since 1967 with a wide range of roofing and siding services. Our employees are professionally trained and capable of installing or repairing your roof or siding quickly and efficiently. When siding starts to become detached from your home, it not only looks horrible, but it can also cause other types of harm to you and your family.